My family eating lunch together. Teida has been working with children for over 20 years. When her own kids were young she would teach Spanish classes at their elementary school as a public service. At that time their school had no Spanish language curriculum. 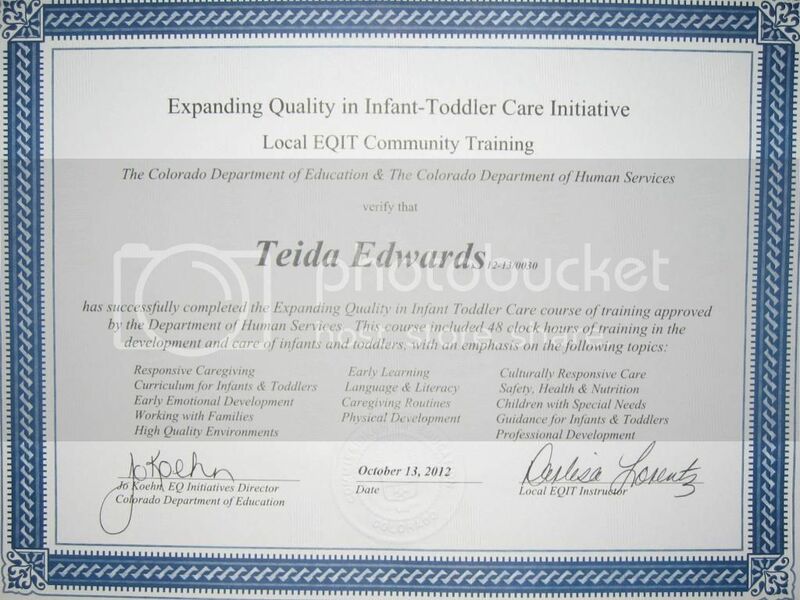 This is around the time that Teida started her first home daycare service based in Thornton, CO, where she specialized in Bilingual Education. Teida followed one of her many passions in life, to help children learn Spanish and grow into adults that can navigate through an increasingly complex world. Both of her children have graduated from college. Her son, received a Bachelor of Arts in Philosophy, he is currently working as a Software Engineer. Her daughter has two degrees. They are in Creative Writing, and Spanish and Portuguese Language and Culture. She is working towards her third degree in French Language at La Sorbonne Université de Paris. Her daughter has lived a year in Chile, a year in Brazil, and over three years now in France. She is currently working as a professor of English at Citylangues and as an artist in Paris. 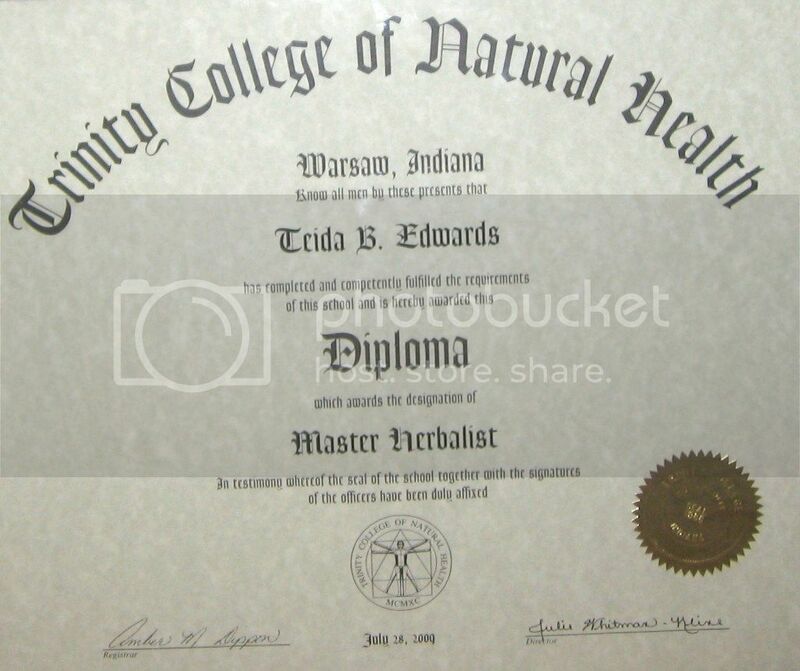 Trinity College of Natural Health Master Herbalist Diploma (2009). 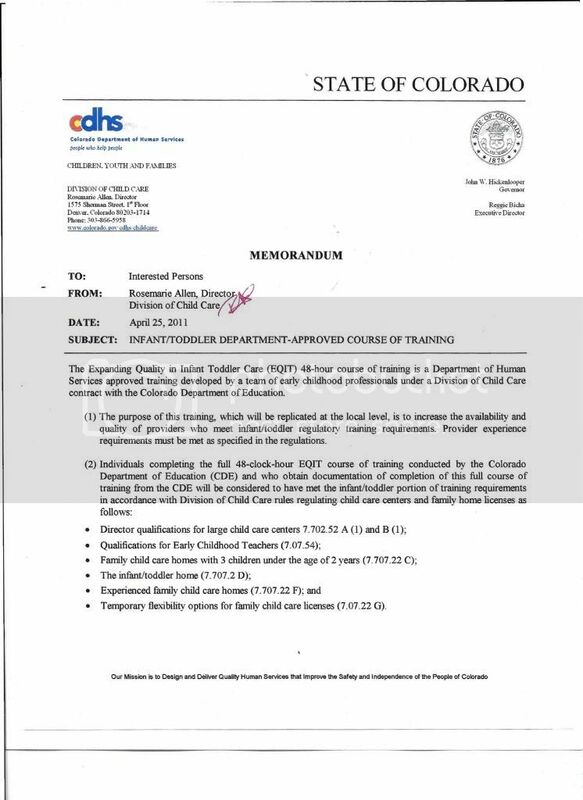 The Colorado Department of Education and the Colorado Department of Human Services Expanding Quality in Infant-Toddler Care Initiative. For an explanation of the course please click here. 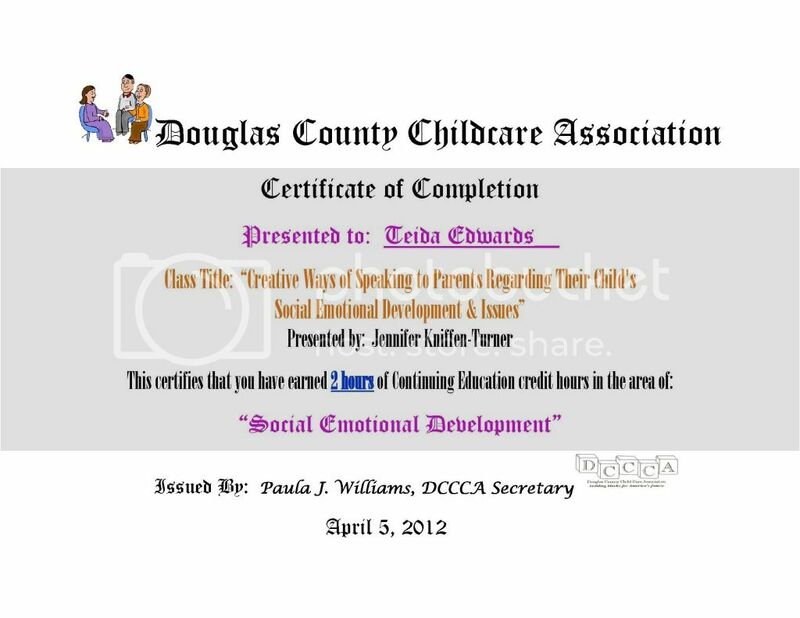 Douglas County Childcare Association Certificate of Completion for Social and Emotional Development (2012). 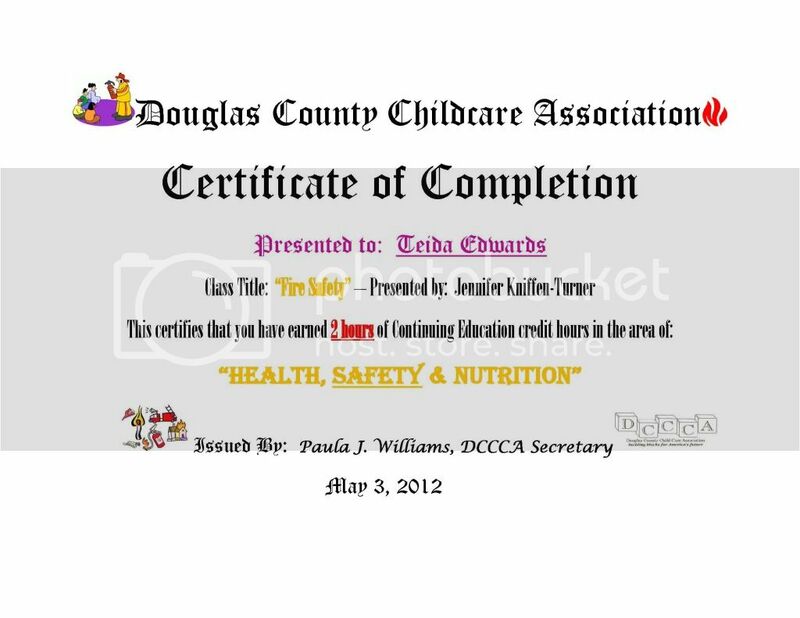 Douglas County Childcare Association Certificate of Completion for Health, Safety and Nutrition (2012). 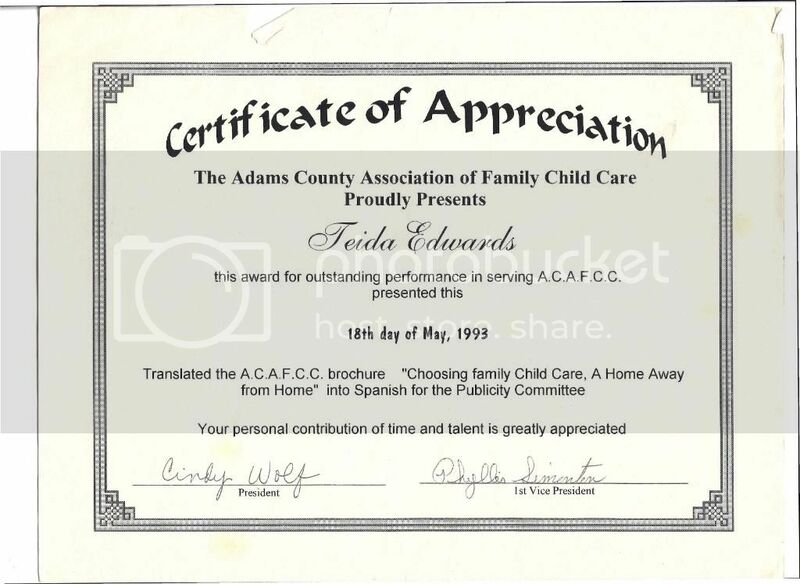 The Adams County Association of Family Childcare Certificate of Appreciation for translating the A.C.A.F.C.C. brochure "Choosing Family Childcare, A Home Away From Home" into Spanish (1993). 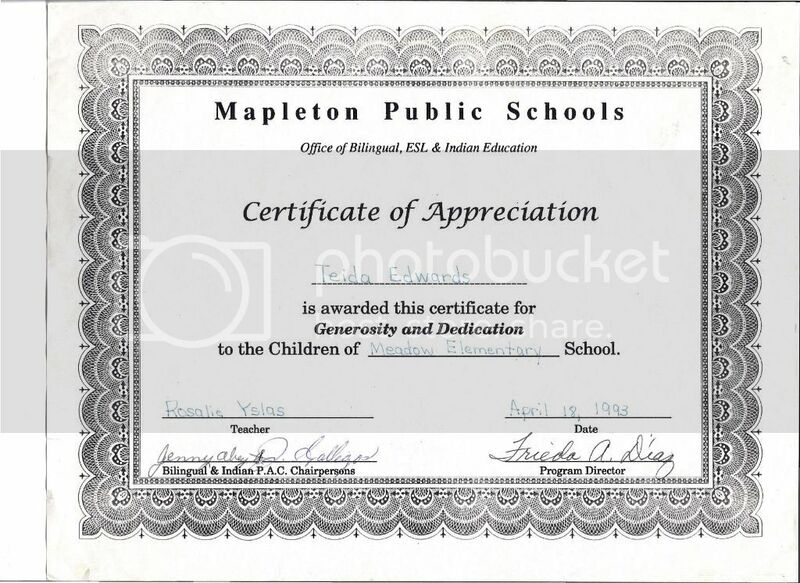 Mapleton Public Schools Certificate of Appreciation (1993). 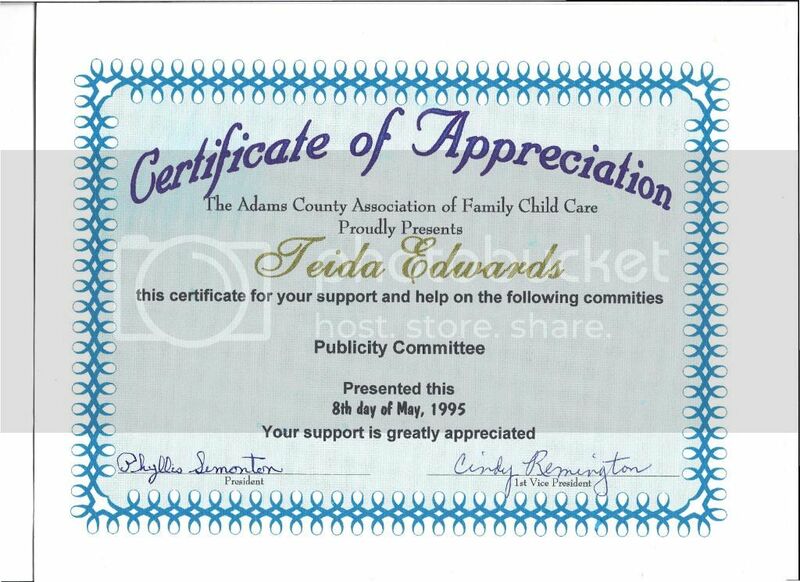 The Adams County Association of Family Childcare Certificate of Appreciation for Support and Help in the Publicity Committee (1995). 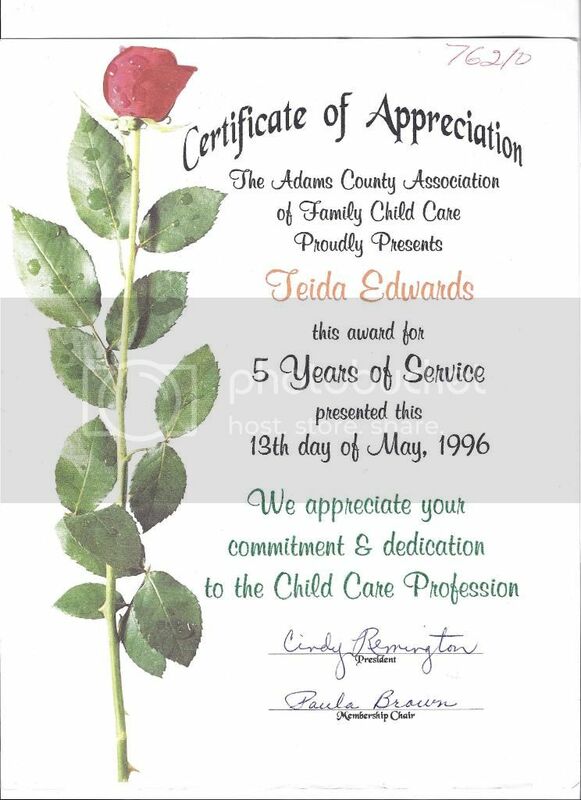 The Adams County Association of Family Childcare Certificate of Appreciation for 5 years of service, and for commitment and dedication to the childcare profession (1996). 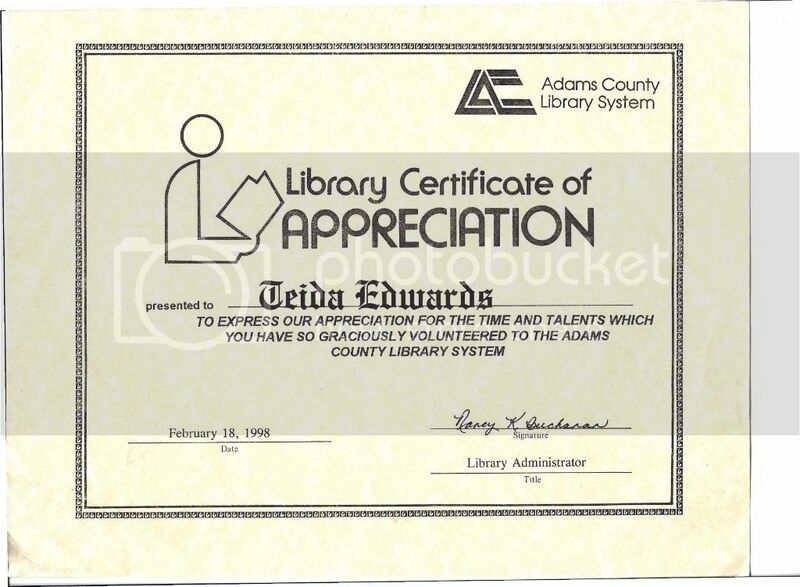 Library Certificate of Appreciation to express our appreciations for the time and talents which you have so graciously volunteered to the Adams County Library System (1998). 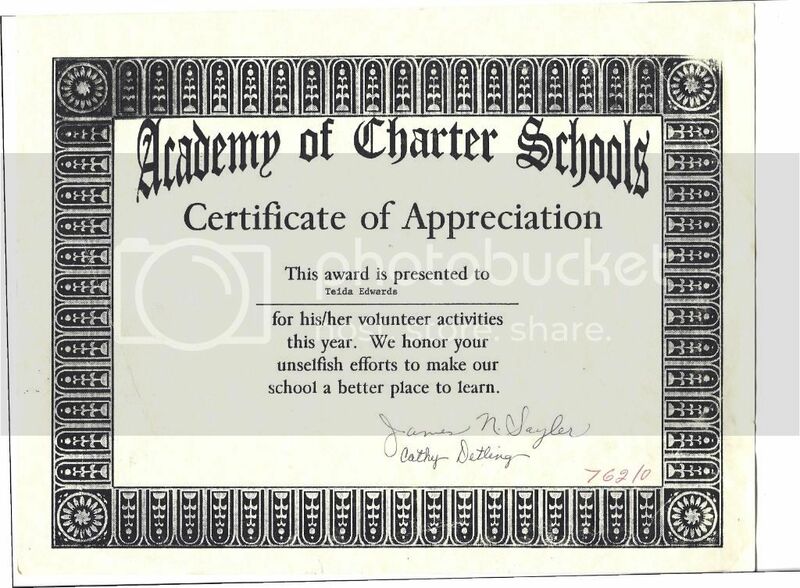 The Academy of Charter Schools Certificate of Appreciation for volunteer activities this year. We honor your unselfish efforts to make our school a better place to learn. 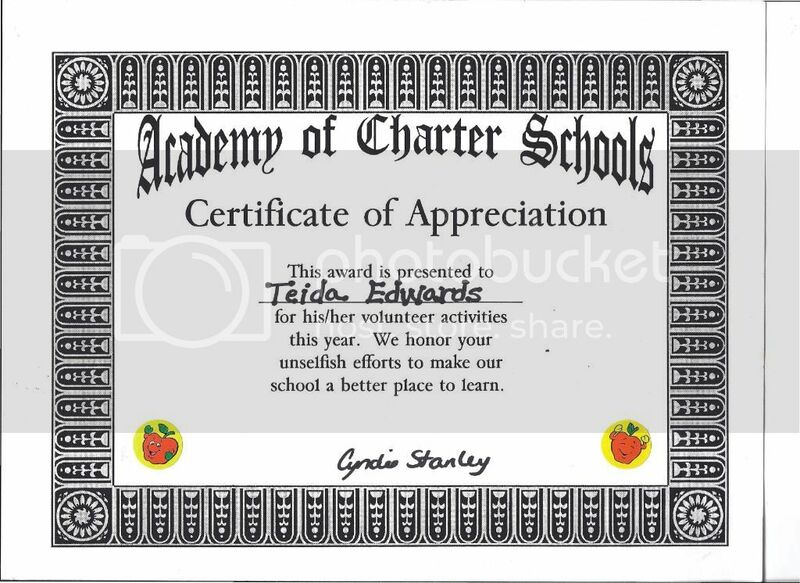 Academy of Charter Schools Certificate of Appreciation for volunteer activities this year. We honor your unselfish efforts to make our school a better place to learn.